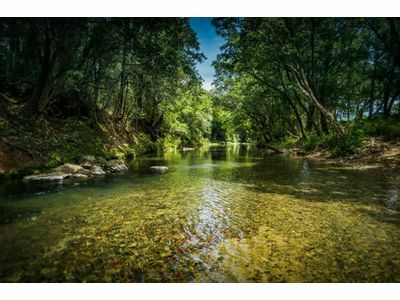 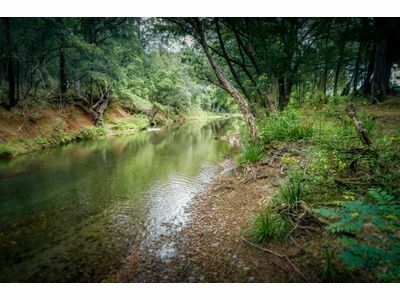 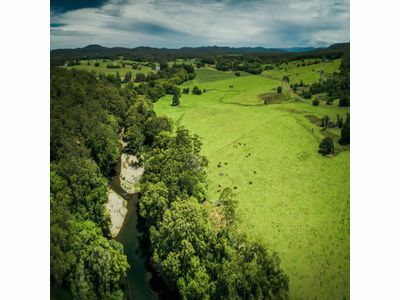 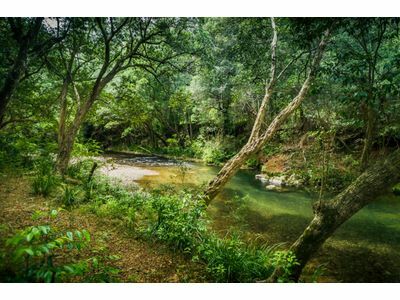 128 acres with superb sought after Never Never river frontage. 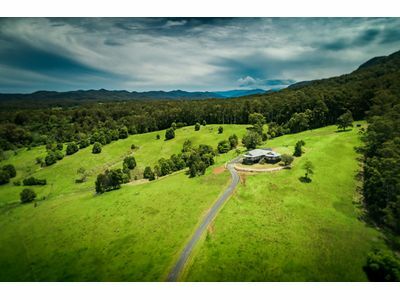 This magnificent property has it all…. 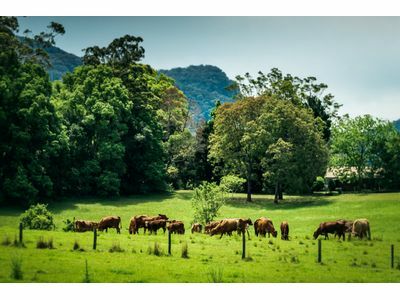 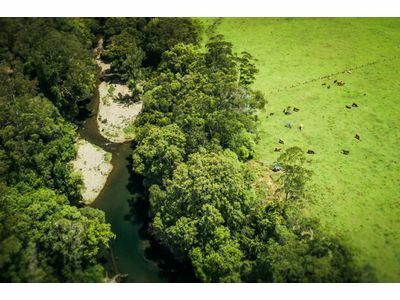 with a combination of grazing country, river flats and hardwood timber. 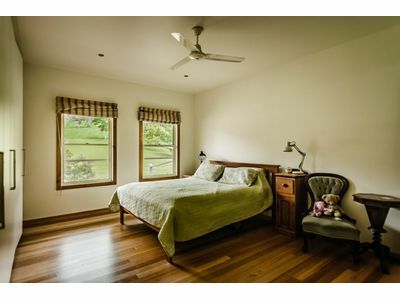 The homestead features 3 large bedrooms, all with built-in robes. 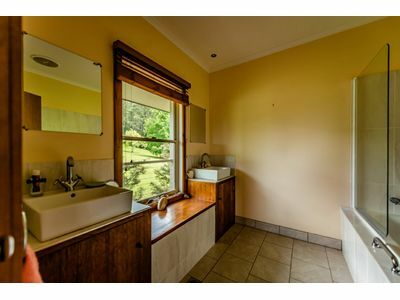 The main is complete with en-suite. 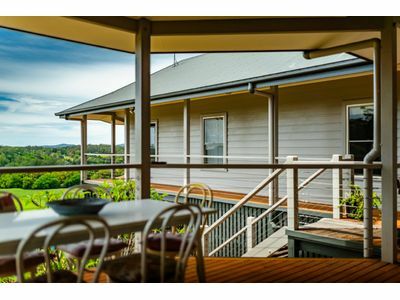 Feature sandstone walls, fruit trees and an elevated position contribute to the charm. 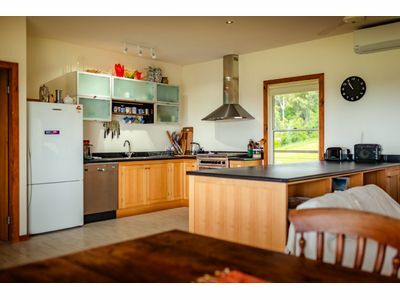 A huge open plan country style kitchen with a walk in pantry flows to the living area. 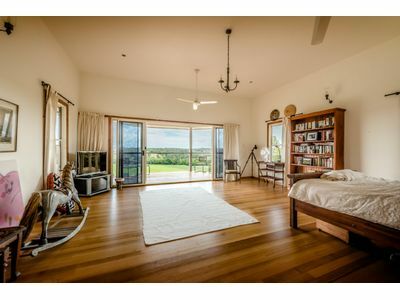 Polished timber floors throughout and high ceilings add to the sense of spaciousness. 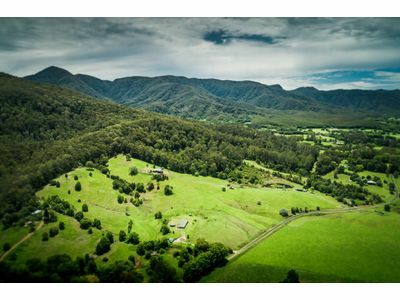 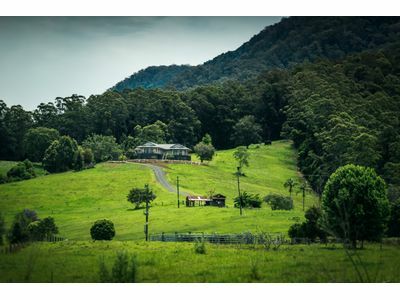 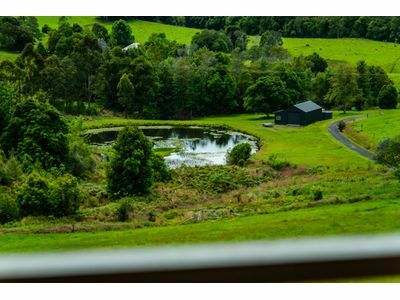 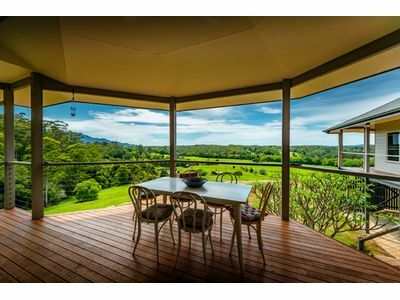 Take in the views toward hills and deep green paddocks. 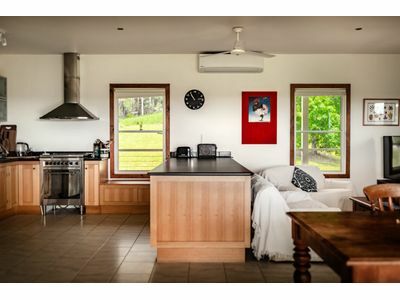 The home has reverse cycle air conditioning, ceiling fans and for those cooler times a slow combustion wood fire. 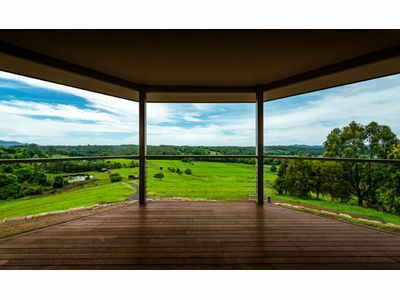 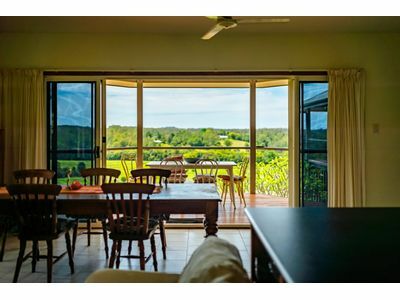 A wrap around verandah is ideal for entertaining, watching the sunset or simply taking in the cattle grazing in well-fenced paddocks. 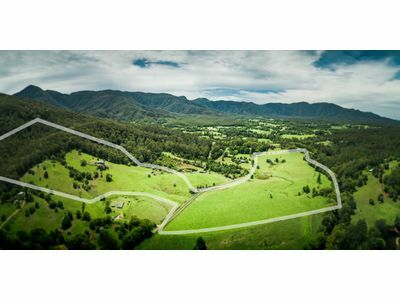 There are cattle yards, 7 paddocks and a 12 Megalitre water/irrigation licence. 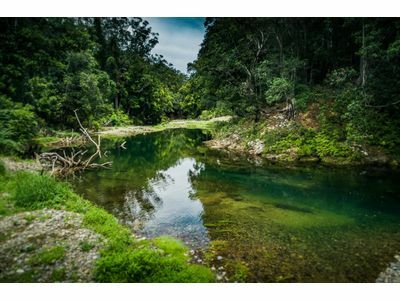 Coupled with your river frontage and a beautiful spring fed dam, you should always have plentiful water. The two large sheds provide ample machinery storage. 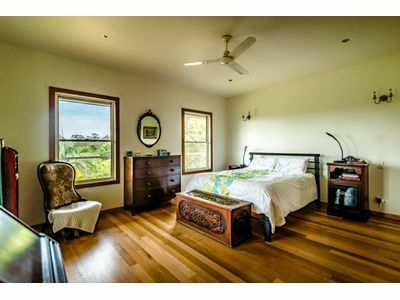 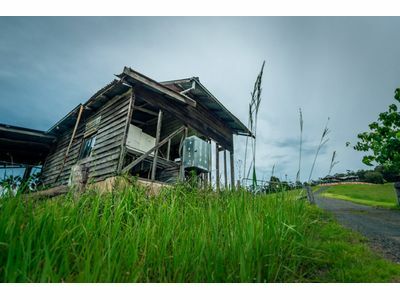 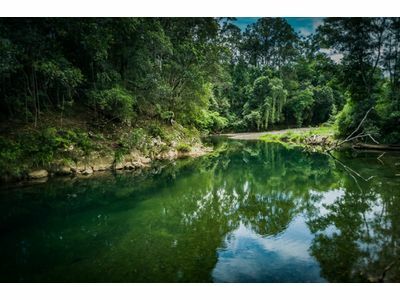 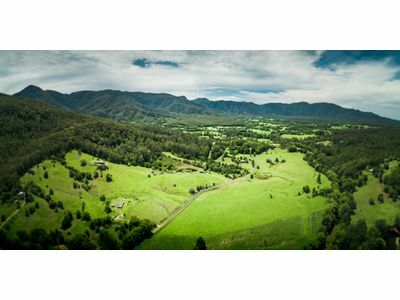 This really is one of Bellingen’s premium sought after locations. 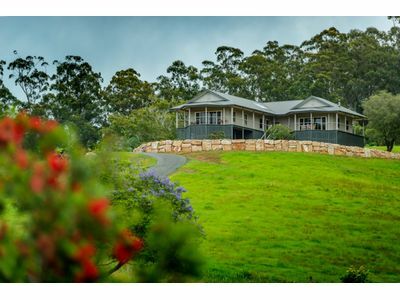 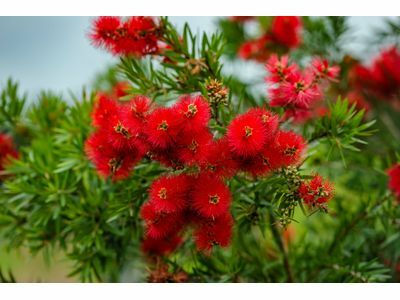 Only 14kms from one of the most desirable rural towns in Australia. 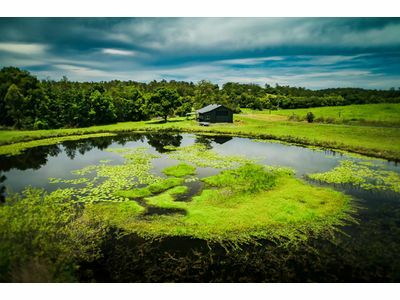 Come out and take a look!